Wandering idly on Facebook one afternoon (which is one of two places you are likely to find me on the internet, there or Twitter) I came across an App. 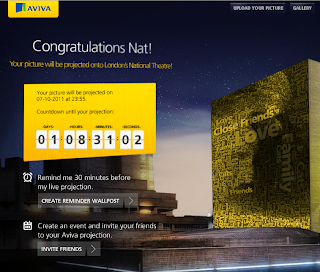 It was being advertised down the side of the page. 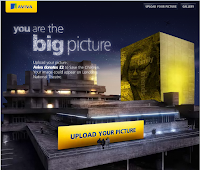 Insurance company Aviva 'You are the Big Picture'. Intriguing. 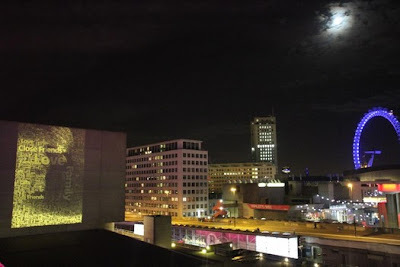 The App invited you to upload a picture and choose 5 words that were important to you (well Facebook chose them from you wall, but it did allow you to change them). 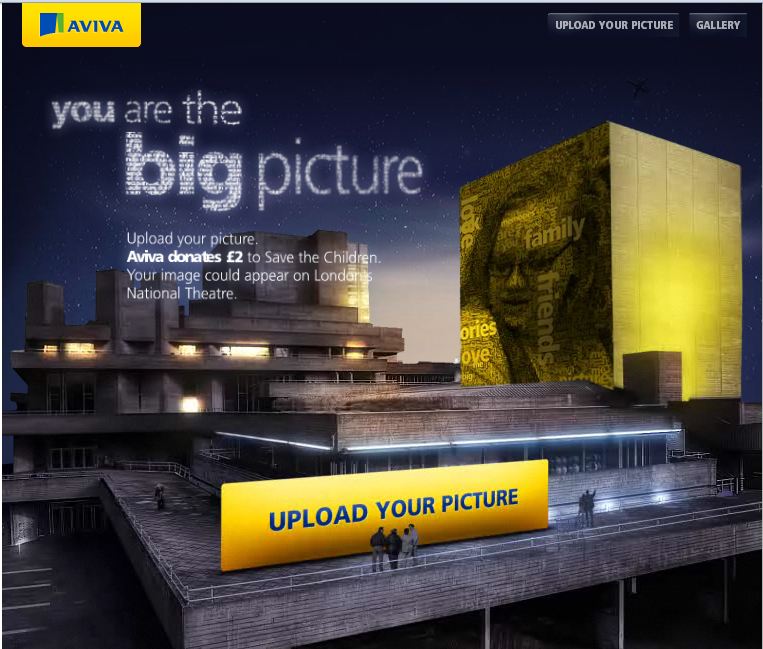 For every picture uploaded Aviva were donating £2 to Save the Children and in addition your picture might be broadcast on one of the concrete walls of London's National Theatre. 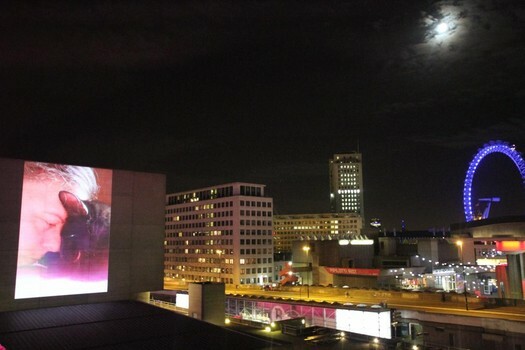 Your very own fifteen seconds of fame. I chose a picture of me and our beloved Tinker... it seemed like a nice tribute for him. It is my favourite picture of the two of us, practising the feline (Jedi) mind-meld... or maybe just rubbing noses. I was thrilled when I received an email telling me that the photo would be projected on the night of the 7th October. 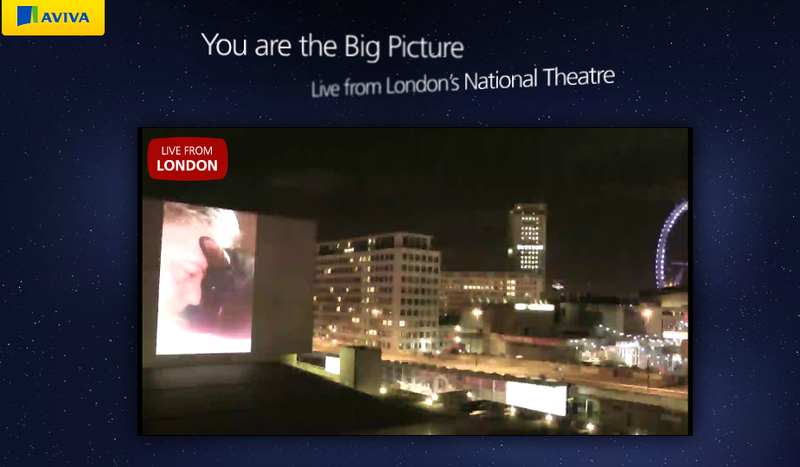 Internet problems and live web-cam problems gave us a few scary moments - but I managed to stay awake and see the projection live. Casper didn't mind that he wasn't on the side of a wall... after all - he does have his own blog!